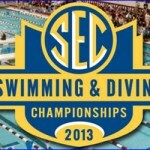 1 » The Florida Gators swimming program won its second national title of the season on Friday when the men’s 800 Meter Freestyle Relay team took down the competition at the 2013 NCAA Swimming and Diving Championships in Indianapolis, IN. Freshman Pawel Werner, redshirt junior Sebastien Rousseau, junior Marcin Cieslak and sophomore Dan Wallace swam the race in a school-record time of 6:13.27 to bring home the title for the second time in the last three seasons. A week earlier on March 22, junior Elizabeth Beisel captured the NCAA title in the 400 Meter Individual Medley in 4:00.49. It was her second individual national title (first in the event) as she previously won the 200 Meter Backstroke in 2012. The Gators men’s and women’s swimming programs each finished in sixth place overall. 2 » Florida women’s basketball certainly did not have a successful regular season, but head coach Amanda Butler’s squad has been playing with renewed intensity in the 2013 Women’s NIT and advanced to the Final Four of the event over the weekend with an 85-80 victory over the James Madison Dukes (25-11) in Harrisonburg, VA. The Gators (22-14), which trailed by one with 1:06 to play, jumped ahead on a jumper by freshman guard January Miller with 53 seconds remaining and never lost the lead again. Junior G Jaterra Bonds hit four free throws down the stretch to extend Florida’s lead and help the team move on in the tournament. Freshman forward Sidney Moss led the way for UF with a game-high 27 points, and Bonds added 20 of her own including the game-clinching free throws. Florida is in the semifinals of a postseason tournament for just the second time in program history (first since 2000) and are two victories away from their first-ever title. The Gators will next take on Drexel on April 3 at 7 p.m. in Philadelphia, PA.
[EXPAND CLICK TO EXPAND and read two more BITS in this post. ]3 » No. 3 Florida softball (35-3, 10-2 SEC) concluded the month of March on Sunday by picking up a road series win over the Ole Miss Rebels (19-21, 1-11 SEC) in Oxford, MS and extending their winning streak to nine games. Junior right-handed pitcher Hannah Rogers (20-2) threw a pair of complete games on Friday and Sunday morning, giving up six hits and one earned run while striking out 11. Rogers also earned her second save of the season in the second half of Sunday’s double-header, pitching three innings in relief of sophomore RHP Alyssa Bache (6-0). The Gators’ hitting was well-rounded throughout the weekend with junior third baseman Stephanie Tofft, senior right fielder Kelsey Horton, sophomore left fielder Briana Little, freshman first baseman Taylor Schwarz and sophomore second baseman Jessica Damico reach registering at least one multi-RBI outing.